Warren, who's cheated on girlfriends in the past, is ready to hit the brakes and fulfill his lifelong desire to become a dad. Annabelle, who's ten years his junior, is focused on carving out a creative path all her own. What happens when a sparkling presence, a girl born to entertain, becomes entangled with a grounded, strong-willed man who might rein in her exuberance or drive her head over heels? This story is told from Annabelle's perspective and works really well. It reads quite differently because we don't know how Warren feels, and he is not very open with his feelings. I really enjoyed it. I questioned why she stuck with him, given their very different characters and lifestyles, but I loved her persistence. Her family were a hoot, and yet just what she needed. Do give this a try, it is definitely worth a read. I shall be looking out for more of Ms. Famous's work. 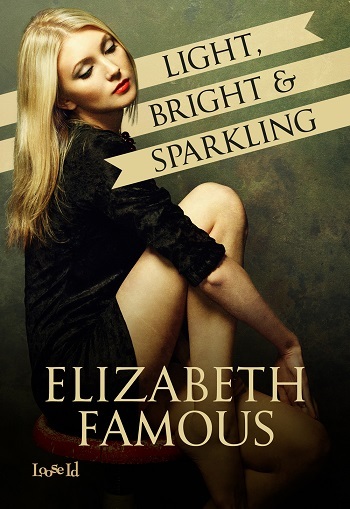 Elizabeth Famous grew up on a family farm in rural USA before dashing off to the big city and going Ivy League. Never satisfied with doing things the usual way, she married a man born on the other side of the globe and won a doctoral fellowship in humanities. Raising her lively and opinionated children is the greatest challenge of her life. Her passions include reading Jane Austen and traveling, and she writes raw love stories about flawed yet endearing characters. 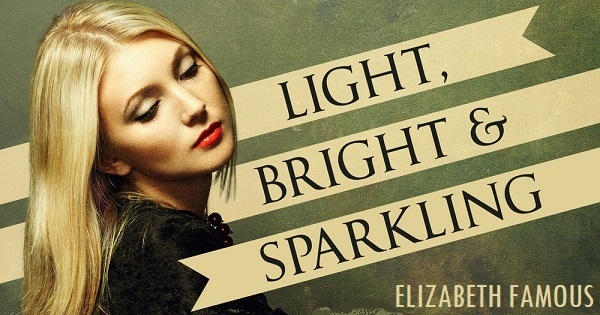 Reviewers on the Wicked Reads Review Team were provided a free copy of Light, Bright & Sparkling by Elizabeth Famous to read and review.